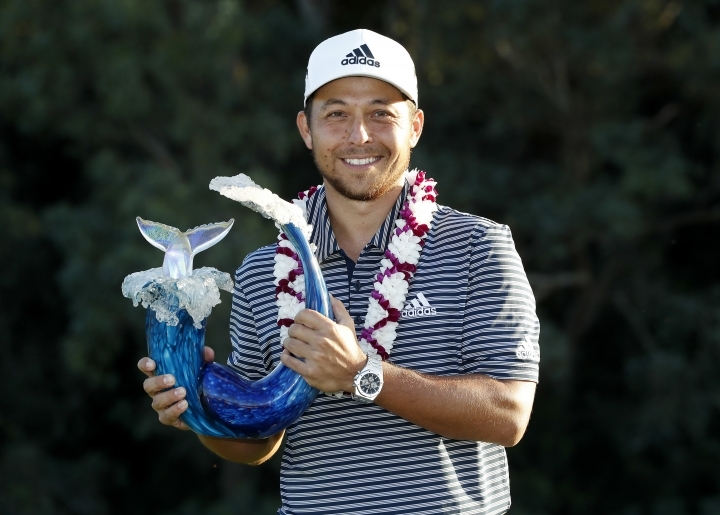 KAPALUA, Hawaii — Xander Schauffele tied the Plantation course record at Kapalua with an 11-under 62 on Sunday, and he needed every shot to beat Gary Woodland by one shot and win the Sentry Tournament of Champions. 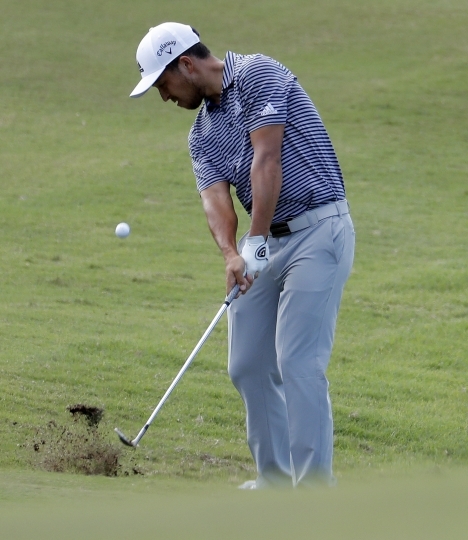 Schauffele started the final round five shots out of the lead and opened with a bogey. His fortunes turned quickly, and it got better with every hole. He ran off three straight birdies. He chipped in from the front of the green on the par-5 ninth for eagle. He holed a wedge from 107 yards for another eagle on No. 12. He took his first lead with back-to-back birdies on the 14th and 15th holes, both times coming close to chipping in for more eagles. Tied with Woodland over the closing holes, Schauffele finished birdie-birdie to match four players for the record. "It was a crazy day," Schauffele said after his fourth career PGA Tour victory, and second in as many starts this season. "I didn't do much leaderboard watching. I knew it was going to be a birdie fest at the end. We kept our head down and made a run for it." Woodland had a chance to force a playoff, but he hit his drive on the par-5 18th so far — 390 yards downhill but into a Kona wind — that he was between clubs. He tried to draw a hard 4-iron and left it out to the right, hit a pitch-and-run to 10 feet and missed the birdie putt. "This one will sting," Woodland said. 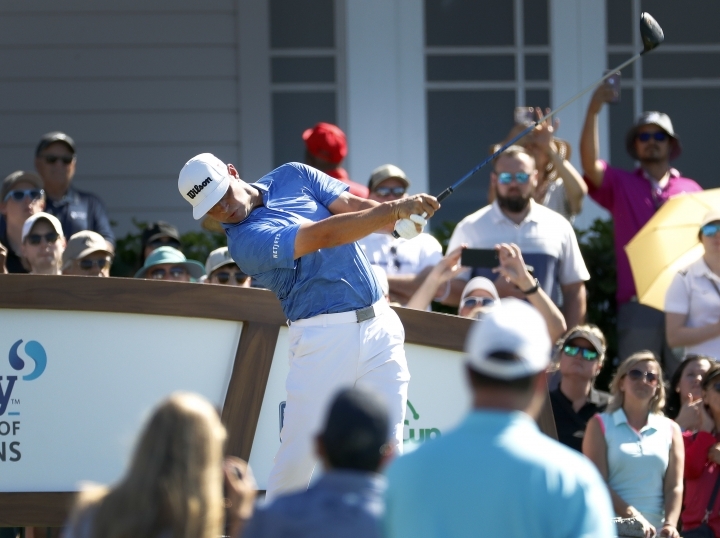 Schauffele was in the group ahead of him, and Woodland could see as the 25-year-old Californian went after the left flag on the tough 17th hole to just inside 10 feet for the first birdie of the final round. Woodland hit his approach to just inside 12 feet, and made the second birdie of the day to tie for the lead. Schauffele wasn't finished. 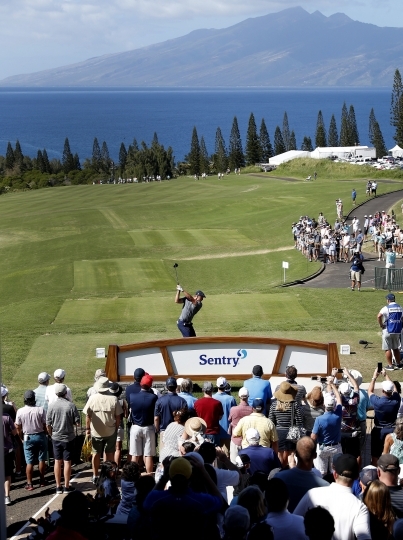 He hammered a 5-wood onto the green at the 18th to about 12 feet, narrowly missing his third eagle of the final round. 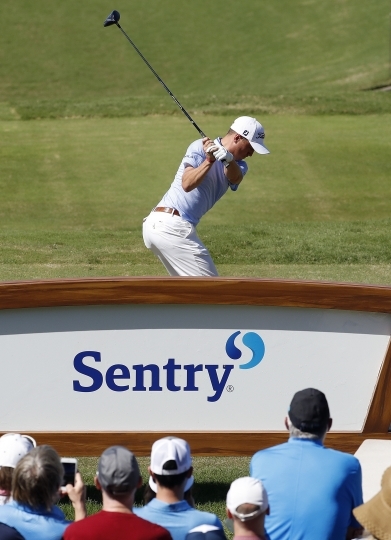 He rolled it in for his 62 to finish at 23-under 269, and then had to wait. Given a chance to watch on TV, Schauffele figured there would be a camera on him. He chose to wait in the trailer, listening to traffic over the radios, taking a second to realize that Woodland had missed his putt and it was over. "It means I get to come back, which is even better," Schauffele said. He doesn't get as much attention as some others from the vaunted high school class of 2011 — Jordan Spieth, Justin Thomas head that list. Schauffele is becoming increasingly tough to ignore. This is the second time in three seasons that he has at least two victories. That includes a World Golf Championship last fall in Shanghai, and the Tour Championship to close out the 2017 season. Woodland couldn't think of much he did wrong except fail to take advantage of a few pins he could have played to more aggressively. But he found no consolation in losing to a guy who shot 62 in the tougher of the two wind directions on the west end of Maui. "I don't think it will ever be easy because I still believe I was playing well enough to shoot 66 today," Woodland said. "You have an iron into the par 5 in the middle of the fairway on the last hole, you expect to make birdie. I had killed the par 5s all week this week, which is what you've got to do out here. So I knew what he was doing and the competitor in me knew I needed to do one better. And unfortunately, I didn't get it done." He played in the final group with Woodland, three shots behind, knowing he had played in the final group six times last year without winning. He got within two shots early, but didn't make a birdie after the fifth hole and closed with a 72 to tie for fourth with Dustin Johnson (67) and Marc Leishman (71). 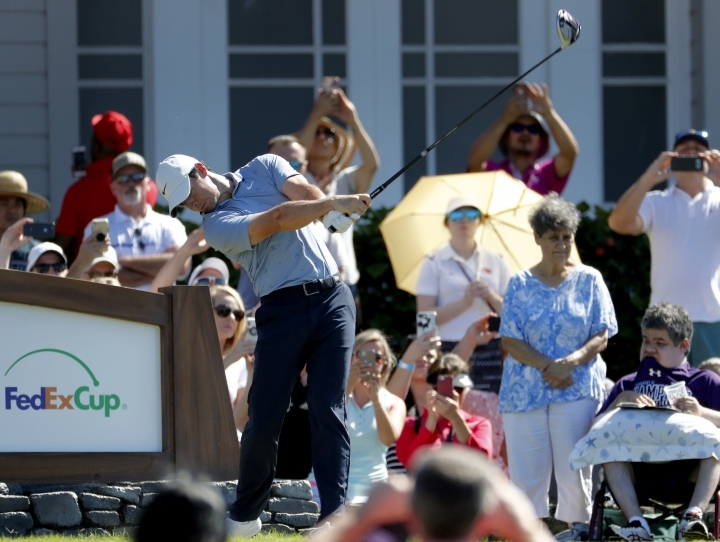 "I gave myself plenty of chances, just couldn't get anything to drop," McIlroy said.